Home » The Horse » Problems » Problem horse – or – People having problems with their horse? 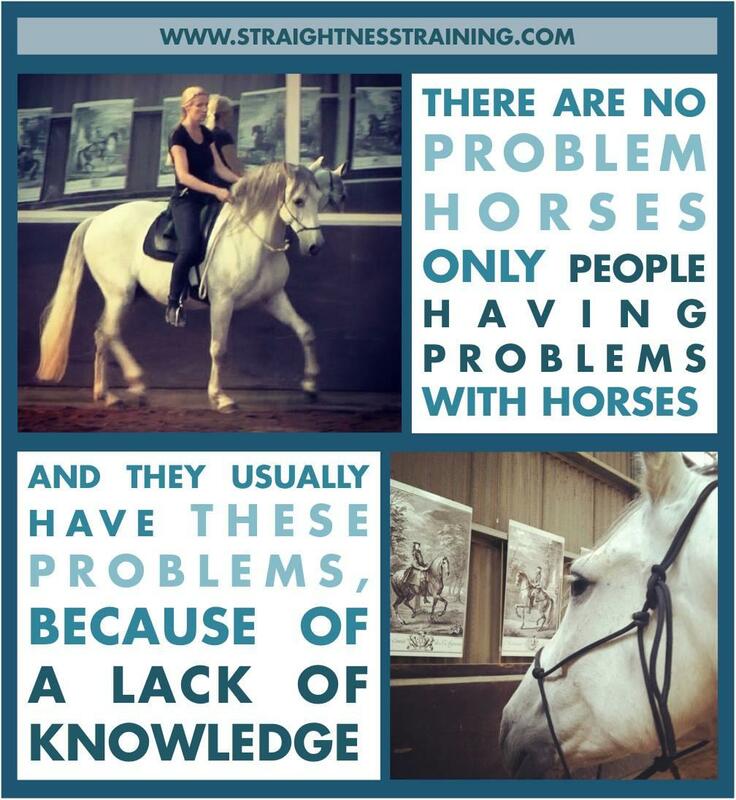 Problem horse – or – People having problems with their horse? 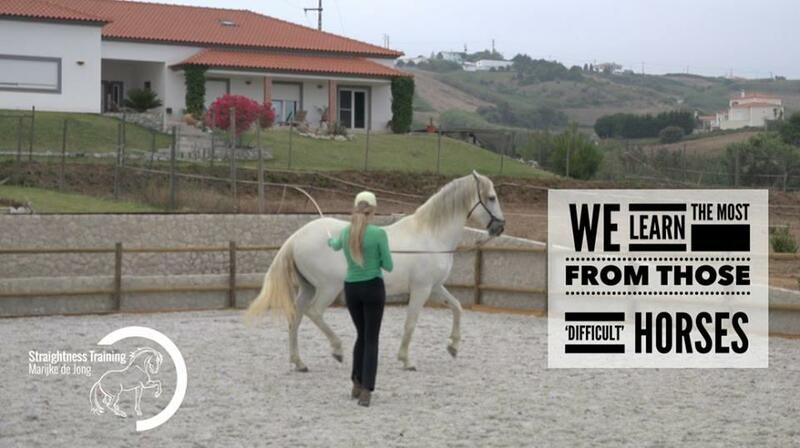 If we are always trying to get away from difficult horses, then how are we ever going to understand them fully? And if we are always trying to escape difficult situations, how can we master them? I see a lot of ‘avoidance’ strategies where people rather avoid difficulties than learning how to deal with them. Or people fighting the symptoms, rather than addressing the root of the problem so they can turn things around and make a positive change. They are always looking for a deep connection with their horse, and they are looking for a light, soft, motivated, and balanced horse that is a pleasure to ride. But in reality, a lot of riders are experiencing a lot of stress and frustration with their horses because of all kinds of physical and mental issues. However, whenever we’re faced with a problem, it’s an excellent opportunity to learn and to grow. My horse Maestro had a mixture of natural asymmetry issues, and he taught me all about straightening a horse’s body. El Blanco was full of mental issues, and he taught me all about rebalancing a horse’s mind, soul, and spirit. Both horses were like fascinating puzzles that could be solved! And we can only do so by widening, broadening, and deepening our understanding. So in Straightness Training (ST), we don’t think in terms of ‘difficult’ horses or ‘problem’ horses. Instead, we believe that there are only ‘people having problems‘ with horses and that those problems can be solved, because they usually have these problems because of lack of knowledge and understanding. And with ST, we can close the gap between what people don’t know and what they need to know so they can understand their horse and act appropriately. So when you’re dealing with a ‘difficult’ horse, congratulations, you’re about to learn a tremendous amount, and your knowledge will grow sky high! 1. First, we’ll first do a brand new, and free Mini Mastery Course to give you insight in where to start with Straightness Training, what to do next, and how to deal with challenges and setbacks along the way. 2. After that, the doors will be opened to the ST Mastery 2018 Class for those who would like to take serious action. In this class, you’ll get step-by-step coaching, personal feedback, and 24/7 support to help you get to the next levels of you and your horse’s abilities.